MARCH 2016. I met Nick at a fishing clinic at Pyramid Lake. He was very patient and informative about how to set up the proper rigs for fishing the lake. He also was very attentive and helpful in positioning us and explaining where the fish would hold and their behaviors to expect when we actually did start to fish. Even with 30-40 mile per hour winds that day, he was able to get us onto fish! 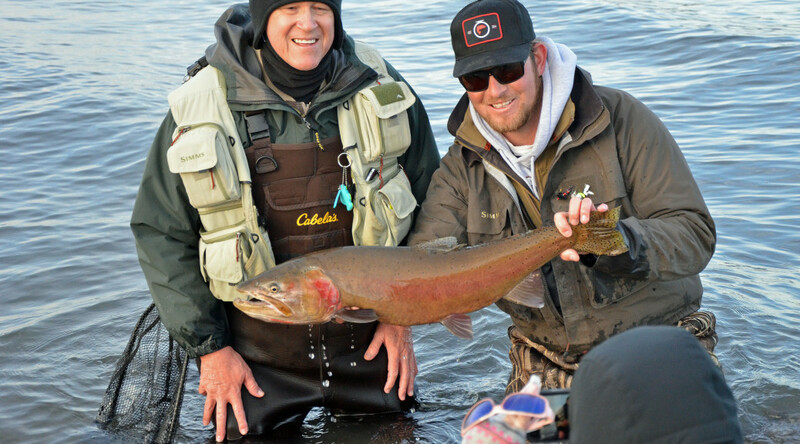 We had so much fun with him that day, we booked him for 2 days of guiding on our trip to the Green River in Utah! ~Pat H.
MARCH 2016. 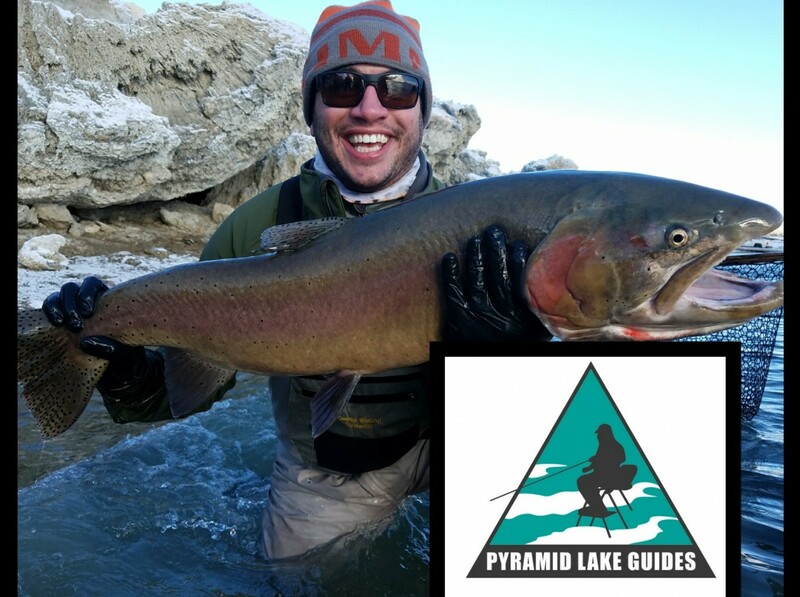 Just wanted to let anyone considering hiring a guide to fish Pyramid to definitely give Nick a call. While he maybe one of the newer guides out on Pyramid do not let that detour you. My dad and I had a awesome day out there and while many others around us were getting just a few, we were able to consistently catch them all day long. His adjustments to leader length and knowledge of indicator fishing really made the difference. We are definitely hooked as we already ordered the same fishing ladders Nick has and feel confident that we can gone out on our own and catch fish from what we learned from our trip with Nick. ~Aaron M.
To read more reviews and about Nick’s guiding style click HERE.